Hey, remember how the New York City Department of Health and Mental Hygiene illegally removed the NYC birth index books and microfilms (public records!) from the the New York Public Library stacks a while back? How they broke the state Freedom of Information law, by “retroactively classifying” public records? Well. It seems that they forgot about the other NYC birth index. Introducing the New York City Geographic Birth Index! It’s all the same info as the other “regular” citywide birth index, but this one is sorted by street address, rather than alphabetically. 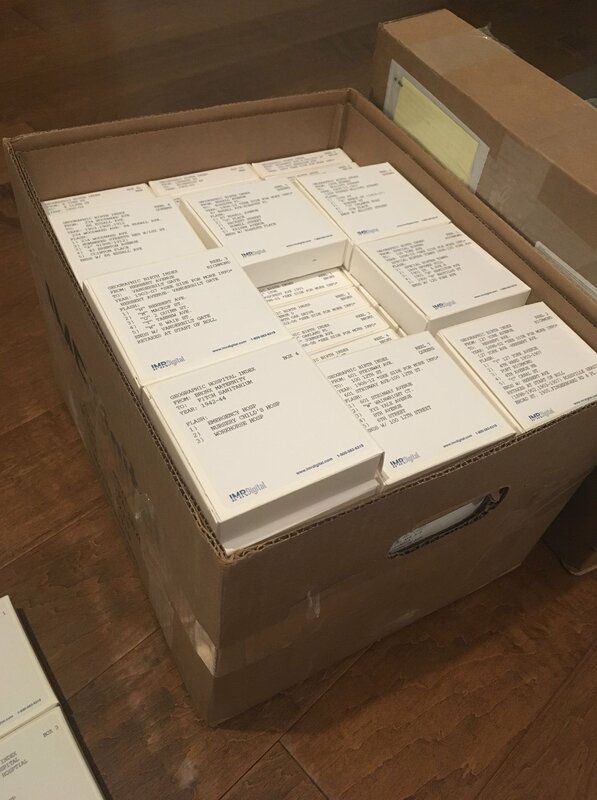 These 96 microfilms, brand new copies freshly made from the vault originals, have been shipped out to Salt Lake City for digital scanning, thanks to the generosity of the kind folks at FamilySearch. We’re expecting to receive the digital files back some time in the summer of 2018. It will eventually all be uploaded, indexed, and turned into a text-searchable database, going online as open data, for free, forever. Now, this version of the NYC birth index does lack the column showing the first five letters of the mothers’ maiden names, unlike the other data set. And these microfilms go from the late 19th century only through the early 1920’s, or in the case of one microfilm 1944-ish, so it’s not quite as far into the twentieth century as the other data set. But still! See, this data set is incredibly useful genealogically speaking — we don’t need to explain why a birth index is a good thing, right? But it’s also good for us strategically speaking. Because we’re still going to make a Freedom of Information request for the “regular” NYC birth index later this year, from the New York City Department of Health. They’ll probably drag their feet and it’ll turn into a big old legal fight. Record Years: Approximately 1880-1920? Exact dates vary by borough. 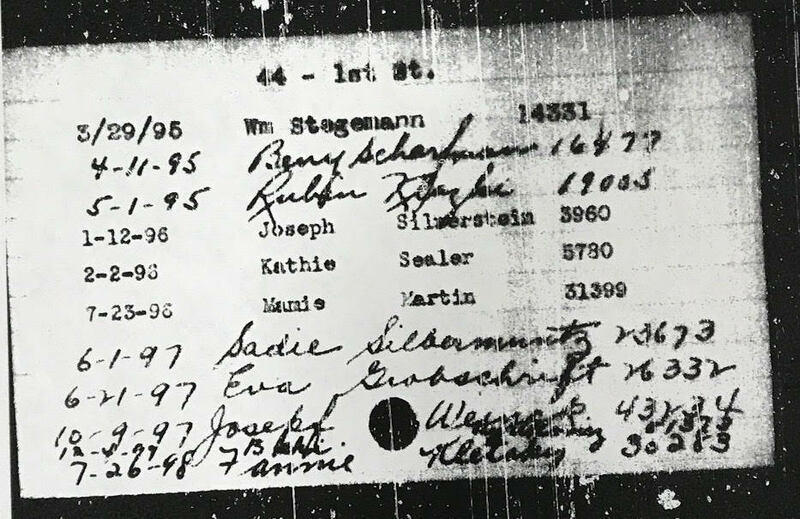 One microfilm is labeled 1944.